A true visionary, Carly Schuberg was a leader within the community he loved. A self-reliant and hard working man, like his family before him, he strived to live within the integrity for which his family stood. Gone, but never to be forgotten, he will remain in the hearts of many. 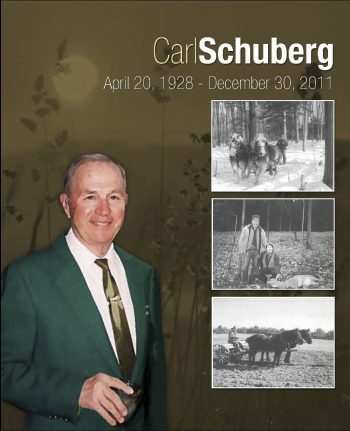 Born Carl M. Schuberg, “Carly”, on April 20, 1928, he was one of three sons born to Carl A. and Alice M. (Stephenson) Schuberg in Wyoming, Michigan. An exciting time in our nation’s history, the Roaring Twenties redefined the culture of America while the entertainment industry reached new heights. The discovery of Penicillin forever changed the field of medicine; the legendary baseball players captured the attention of many while the nation was on the threshold of the Great Depression. Carly grew up in Colfax Township, Michigan alongside his brothers, John and Shirley. Together they shared boyhood adventures on their family farm, but more importantly; Carly learned a strong work ethic on the farm. He attended the local schools and during high school played on the football team. The very day his father was able to break away to attend one of his games, Carly was unfortunately knocked out, but it didn’t deter him from coming back into the game. From the age of 16, Carly was a member of the National Guard. 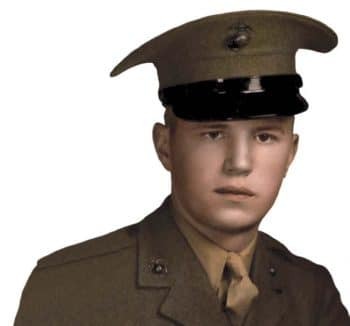 With the onset of World War II, he left his education behind at the age of 17 to join the U.S. Marines. As a Private First Class, he served with the K Company, 3rd Battalion in the Philippines. Following his honorable discharge from service, he went on to complete his high school education. Throughout the years, Carly continued to be a member of the National Guard. In later years, he was involved in the Guard’s mission during the Detroit race riots, and with his usual sense of humor; he could never comprehend why people rioted over a horse “race”. Carly’s return home after the service was an exciting time in his life. Not only was his career underway, he enjoyed the excitement that filled the air at the war’s end. In 1946, Carly joined his mother in the family business, the Schuberg Agency. 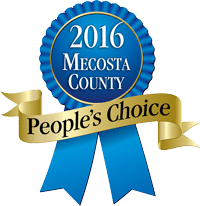 Built upon moral standards, his mother began the insurance agency in 1945 with a forthright pledge to protect the financial security of area businesses and families. His uncle, Ezra Stephenson, joined the firm as a real estate broker, which added to the many ways the agency served the community. Carly’s mother taught him well. Known for her integrity, she was a large influence in Carly’s successful business career and community minded- spirit. Always the hard worker, Carly continued his love for farming and had hopes of returning to it one day. His life was forever changed when he met a pretty young girl roller skating at the local armory. Carly was introduced to Kathleen “Katy” Hurst by his friend and her bother, Bill. They began dating and fell in love. 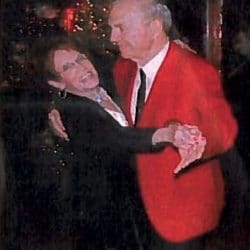 Although they eloped on April 1, 1949 (April fool’s Day), they were later married before family and friends in a beautiful ceremony at St. Mary’s Catholic Church. Soon after making a home together, Carly and Katy began a family of their own. With three children to share their love, they welcomed their daughter Carlleen, their son Rex, and their youngest daughter Linda. Over the years they also enjoyed the companionship of three beloved dogs: Trixie, Thor, and Lar-C who were an active part of their family. In addition, Carly became a member of the Immanuel Lutheran Church in Big Rapids. He also enjoyed his ski trips with Katy, but his most memorable trip was to Sweden where he reunited with family; this was a highlight in his life. 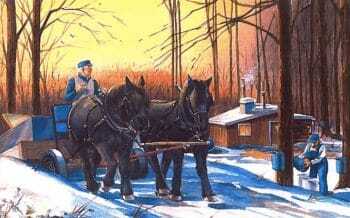 However, one of the greatest joys in his life was after retirement when he went back to farming. Farming was in his blood and brought joy to his heart.